South Korean Company Sells Kim Jong Un Beauty Masks, Spurring Criticism The product promises to moisturize skin with mineral water from North Korea, but some say it trivializes tensions on the Korean Peninsula. North Korean leader Kim Jong Un at a ceremony in September marking 70 years since the nation's founding. A beauty company in South Korea is selling Kim facial masks, prompting criticism. Facial masks in the image of Supreme Leader of North Korea Kim Jong Un have been pulled from some store shelves in South Korea. Marketed as "unification nuclear bomb" facial masks, they promise to enrich skin with mineral water from Mount Paektu, a sacred mountain in North Korea said to be the birthplace of the Kim regime. More than 25,000 masks have sold since June, according to The New York Times. The masks sell for about 4,000 South Korean won (about $3.50) each. Some stores have stopped selling the masks, though, including Pierrot Shopping, a leading chain store in South Korea. The chief executive of the company, 5149, selling the masks, said they are a celebration of this year's "once in a lifetime" inter-Korean summits between Kim and South Korean President Moon Jae-in. "I don't know what Kim Jong-un means in North Korea or what he represents politically, but the whole country of South Korea was happy," Kwak Hyeon-ju told the Times. 5149 is advertising the masks with slogans such as, "All hail moisture for all women of the North and South!" and "Should we now go over the border with a whitened face?" according to The Washington Post. An Instagram video promoting the masks appears to mock news broadcasts in North Korea, beginning with the announcement, "Breaking news! A nuclear bomb explodes on the face." Some South Korean skin care experts aren't impressed. 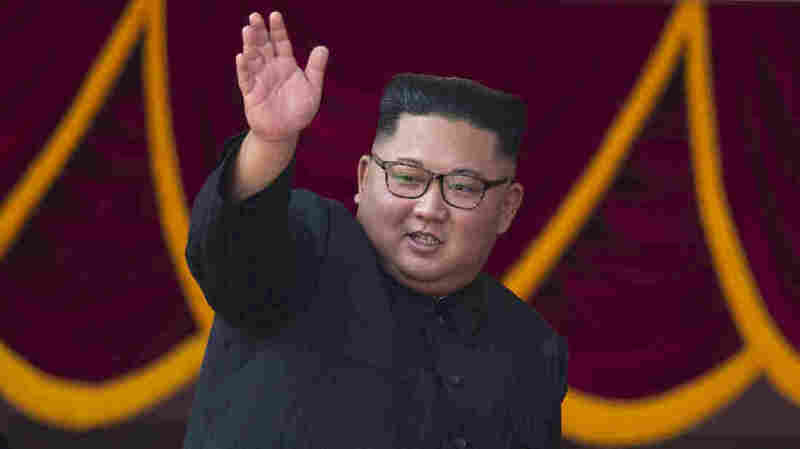 Irene Kim, co-founder of a medical tourism company, said, "A few years ago, North Korea was the largest threat to our country ... Kim Jong-un was seen as a dictator and a tyrant who would stop at nothing to disrupt world peace, now he's become the face of a popular face mask," reports The South China Morning Post. Kim Jong Un's thoughts about the beauty masks are not yet known. In 2014, North Korean officials were displeased with a London hair salon after it used a picture of Kim on a poster advertising discounts on men's haircuts. "Bad hair day?" the advertisement read, according to the BBC. The North Koreans told the manager of the salon, Mo Nabbach, that he had to take the poster down because it was "disrespectful" to their leader. "The two guys were wearing suits and they were very serious. It was very threatening," Nabbach told The London Evening Standard. The BBC reports Nobbach told the North Korean officials, "Listen this isn't North Korea, this is England, we live in a democracy so I'm afraid you're going to have to get out of my salon." "No-one asked for the 'Un'," the manager later explained. "It was never intended to be a political statement, it's all tongue-in-cheek. We were just using it as a cheeky ad campaign."